Upside down banana sponge | How to be the hero of your own kitchen! Typically when we think about upside down cakes the first thing that pops into our heads is the classic 1970’s pineapple upside down cake with a shiny glace cherry in the middle of every ring. Well we can u se the same idea and use any other fruit to produce a great cake with a fruity surprise. In a pot (don’t use non stick) melt the butter and add the sugar, let it heat up at a low heat without stirring it. 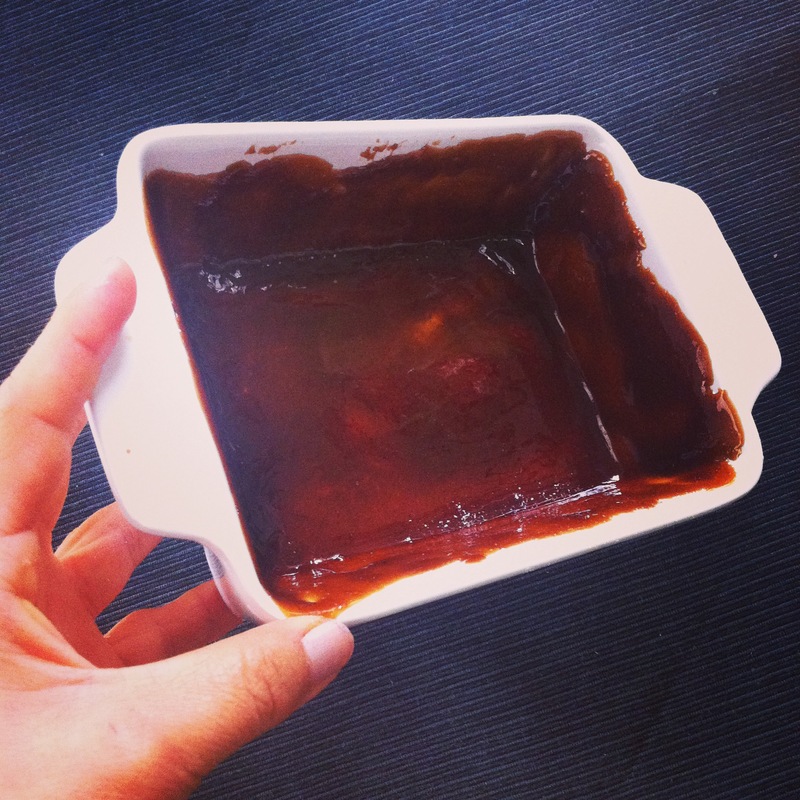 Allow to dissolve and gently turn into a pale syrup, keep cooking until it begins to take a caramel like colour, be careful because it will rapidly go from brown to burnt so make sure you retire from the heat and pour it on the baking mould. Using a spatula spread it quickly covering the bottom and sides. When baking, it will release its flavour cooking the bananas and infusing the sponge. Slice the banana in thick slices. 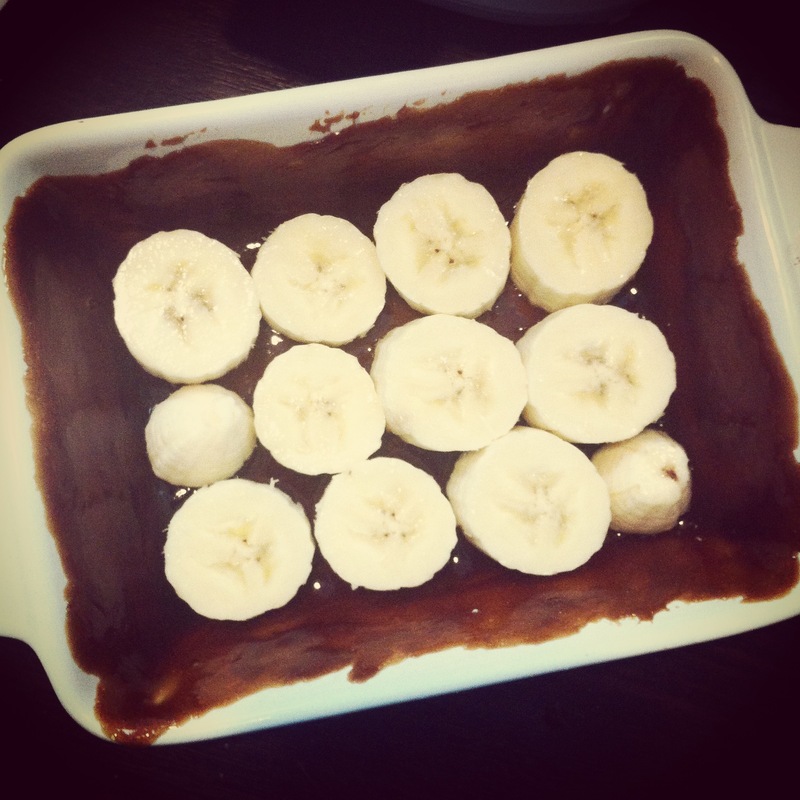 Place the banana slices at the bottom of your baking mould and put the batter on top covering them. In a bowl mix the flour, butter, eggs, sugar, baking powder, vanilla and spices. Use an electric mixer to mix for 1 minute until you get a smooth frothy batter. Bake for 15 to 20 minutes or until ready. Because this is a scaled down recipe, you can have nice little but chunky slices, great served a la mode. Thanks! 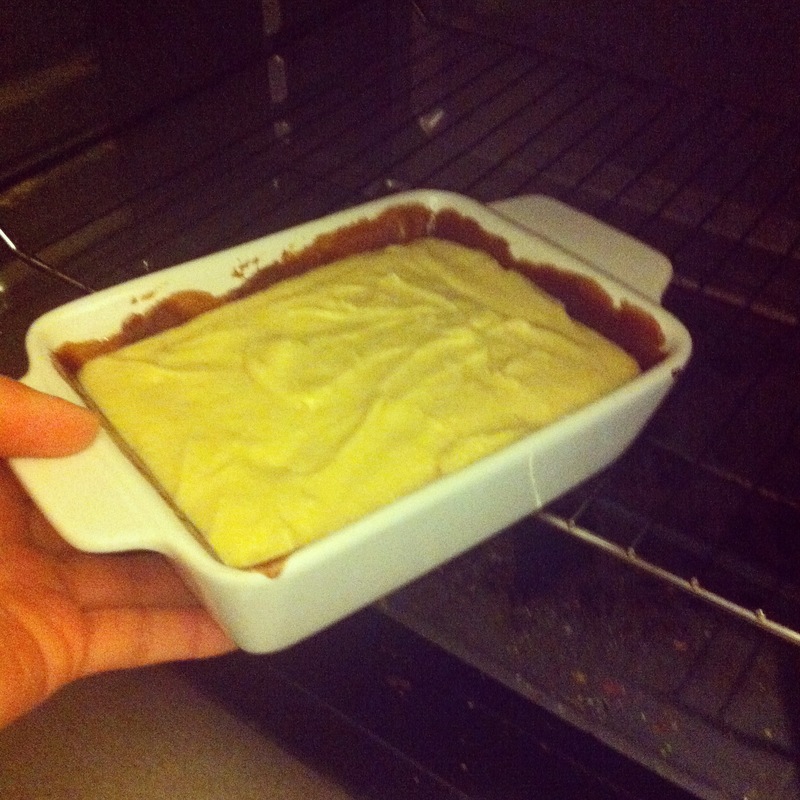 Usually this is big traybake but I fancied baking a cute little cake for two.